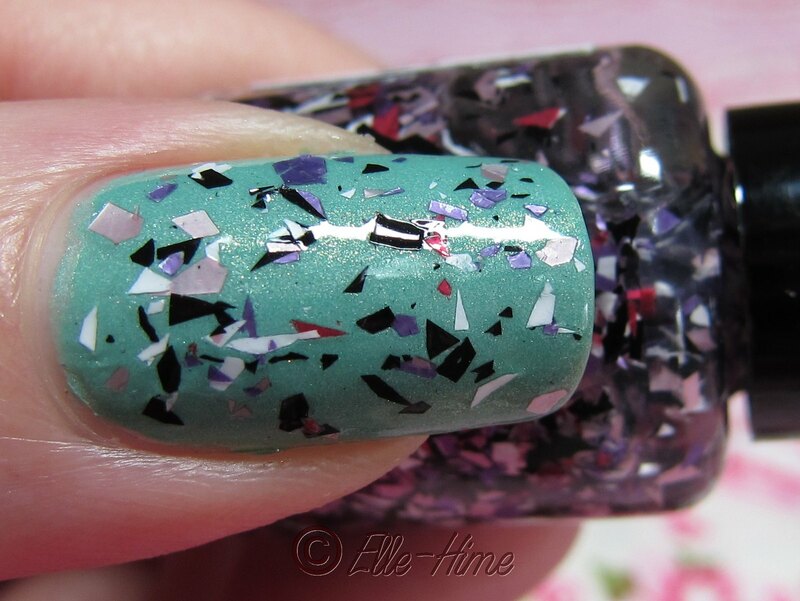 Today I'm sharing a pretty polish from Laquerlicious. I bought a couple colors that were being discontinued and Michelle (creative genius behind the brand, and yes she leaves the C out of the name intentionally) was kind enough to include 3 minis for me to sample and share on the blog! 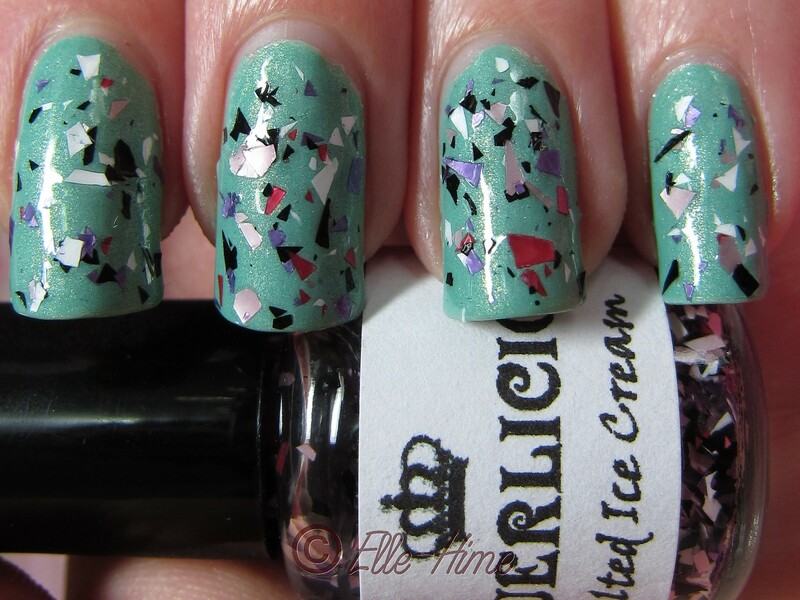 Melted Ice Cream is a blend of shredded glitters in a clear base. They all have a satin or matte finish, and the colors are black, white, lavender, baby pink, and cherry pink. Shredded glitter can be finicky but I'm happy to report that I had no issues with rogue glitters trying to stick straight off my nail! How much I had on each brushload was hit or miss, but that could be in part from working with a mini bottle. It covered well and I simply dabbed a little extra on the few bare-looking spots that I had. Sinful Colors Mint Apple was a polish that I kept seeing, picking up, and putting down. I really liked it but I already have so many minty green colors, right? Well, I've finally come to accept the fact that I've turned into a minty/murky/pale green collector and finally snagged it for a whopping $2. The color is beautiful and the shimmer is wonderful. Mint Apple is one of those special polishes that looks the same on your nails as it does in the bottle. It stands out from my other minty colors. It is a bit sheer, and I did 2-3 coats depending on the nail. You can buy Laquerlicious polishes on etsy, they are $8.50 for a full-size bottle. If you would like to own Melted Ice Cream, be quick! It is on sale for $6.50 and once it's gone, it's gone. Michelle's customer service is great and the shipping is fairly priced, so I definitely recommend her shop. You'll be seeing a few more of her polishes on my blog soon! Thanks for reading!